One of the most neglected areas of IT in a majority of homes and businesses relates to backing up computers and mobile devices. Many assume they will never need a backup because they are careful with their devices, have never had anything stolen, or have no reason to believe the building will burn down in the middle of the night. What’s worse is that in lieu of these reasons, one of the most certain yet underreported facts of computing is this simple truth: It is not a matter of if your hard drive WILL fail, but WHEN. Any device that stores data contains a hard drive of some variety. Whether it is the older, spinning-disk variety or a newer solid-state version, if a device stores data, it has a hard drive that can fail at any time. Now, the chance of that failure occurring depends upon several factors, but what is certain is that that drive will fail at some point. It is an inevitable reality. Reliant Media offers several local solutions to address your on-site backup needs. Whether it is a single laptop that needs only one external backup drive or a large corporate network in need of a full-blown backup strategy, we can deliver a comprehensive plan to keep your data safe and secure. Reliant Media also offers several cloud-based backup solutions. One of the most common complaints of local-backup storage is the need to be tethered to a hard drive or connected to a wired or wireless network at a particular location. 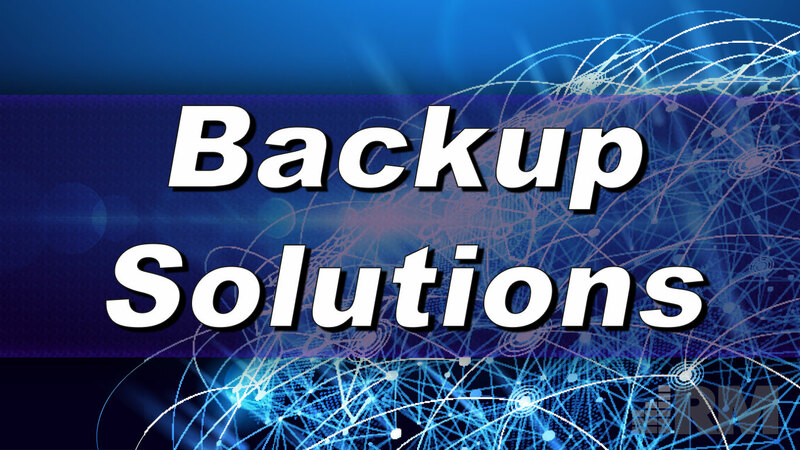 Cloud-based Backup Solutions by Reliant Media include highly-secure methods and products for backing up your most valuable data in an off-site location that is both safe and secure. Start a conversation with us today to learn more and get started!